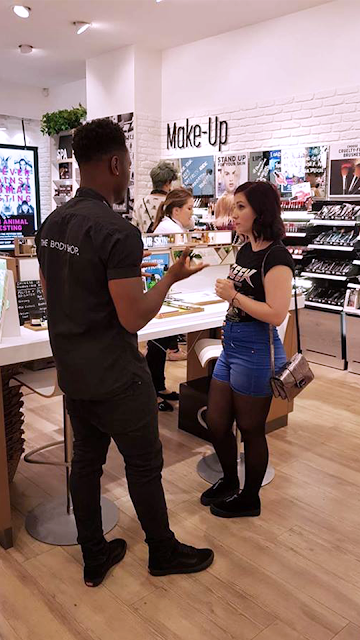 On Friday 18th August I was invited into The Body Shop in Eldon Square, Newcastle, by one of the employee's for the launch of their 5 new additions to the skincare range. 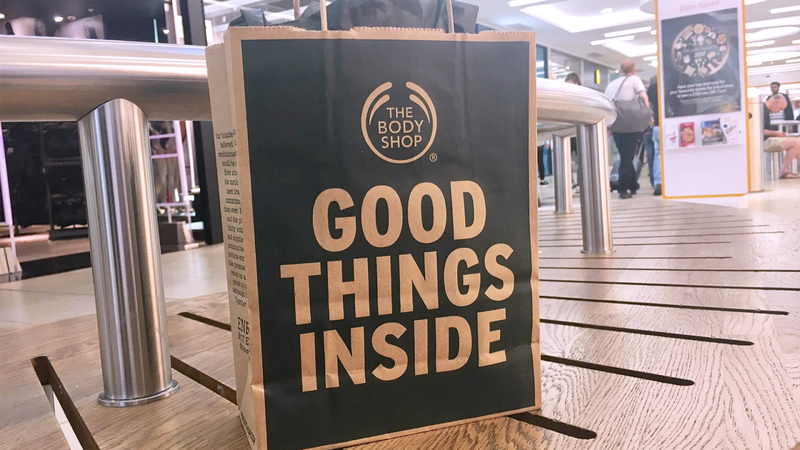 I'm already a huge fan of The Body Shop products so I absolutely had to go have a look! Just a quick point out too - this isn't a sponsored post! Though I did get gifted a "goody bag" which I'll go over later... I'm still choosing to make this post; as a new blogger, this was my first "blogger invitation" and I'm proud. I just wanted to blog about it! I couldn't have chosen a better brand to share it with. There was a lovely warm welcome on arrival where I was shown their selection of masks, which I have samples of now. I'll likely review these on a separate post with my first impressions; I can't wait to try them out. 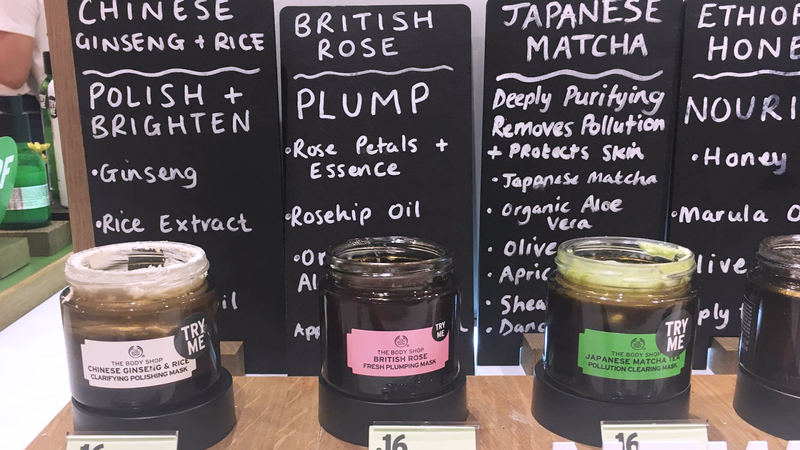 These masks including some ingredients I'm very interested in seeing put to use though. Including "Amazonian Acai", "Himalayan Charcoal" and Ethiopian Honey". I was given an Eye Makeover using some of The Body Shop Cosmetics range, which was a new experience for me! 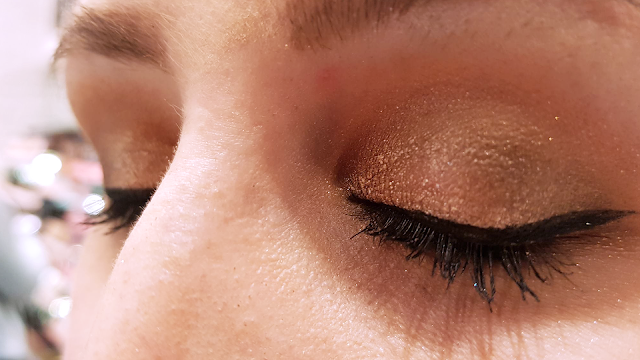 In all my 24 years, I've never actually had my makeup done, I was very impressed with the result. 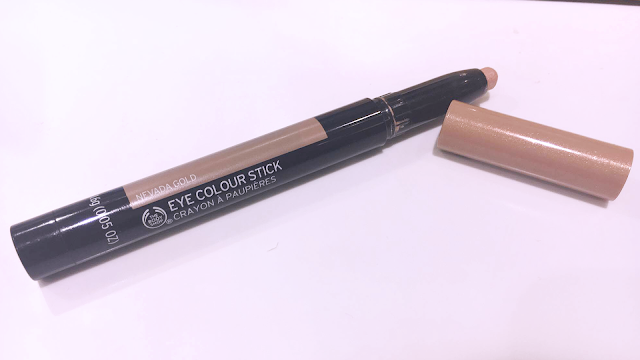 My favourite product was certainly the Nevada Gold Eye Colour Stick, which I 100% will be purchasing myself. 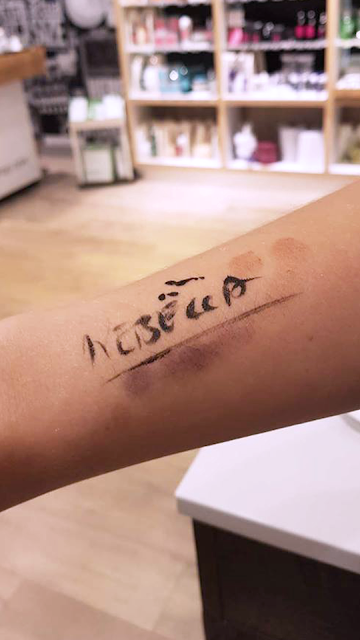 It was very pigmented and soft to apply onto the lid. He went for a smoky eye, with winged eye liner. 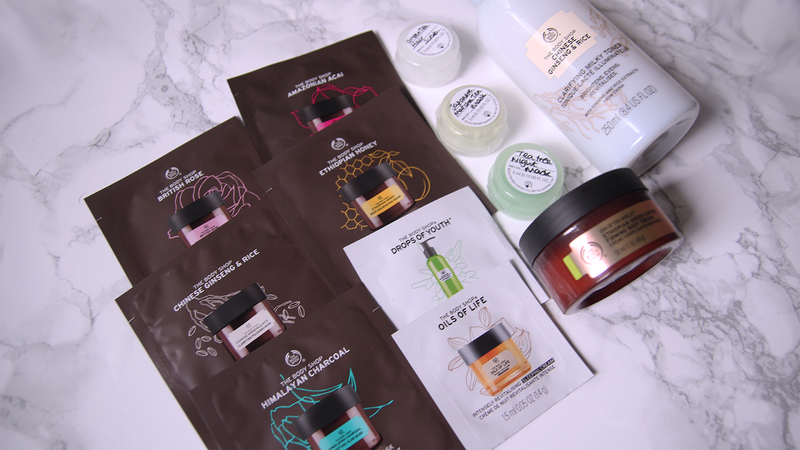 I've actually never used The Body Shop Cosmetics myself, so this is something I'll start to look into more, next time I place an order with them. Perhaps I'll do a review on some of the things I'll buy as well! I was then shown the range of body oils, scrubs and creams. 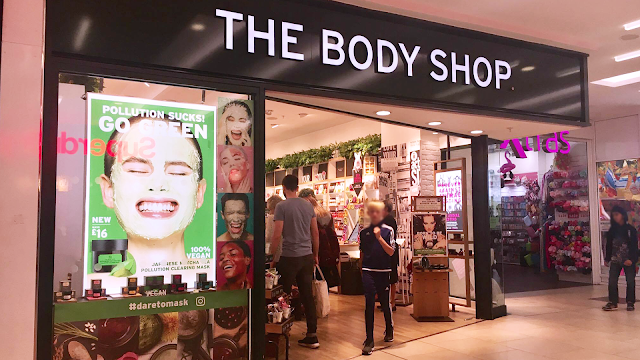 I was given an AMAZING hand massage, which left my skin feeling and looking great. I was extremely impressed with the difference it made. The Polynesian Monoi Radiance Oil soaked into my skin straight away, and the Brazilian Cupuacu Scrub-in-oil was a very coarse scrub, with the texture of salt. It would be particularly perfect for people with dry skin. 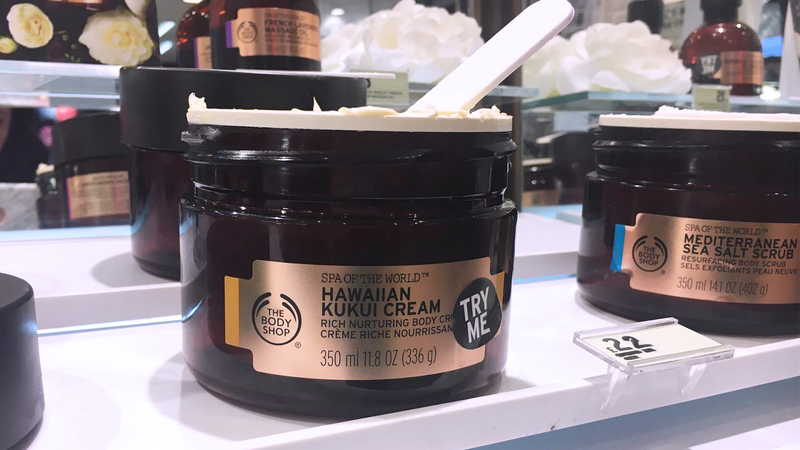 My favourite was the Hawaiian Kukui Cream, which was the finishing touch to my hand massage. It smelt divine. My skin felt so smooth afterwards, and even looked softer. I was given recommendations for skincare products based on my skin type - oily, problematic, and sometimes sensitive. It was suggested for me to try a combination of 3 of their ranges. 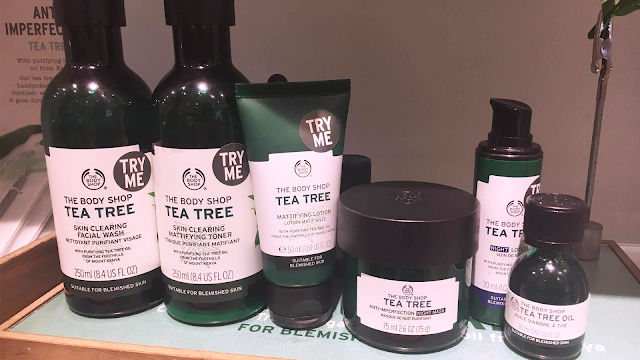 The Tea Tree Oil range is perfect for problematic, blemish prone skin. 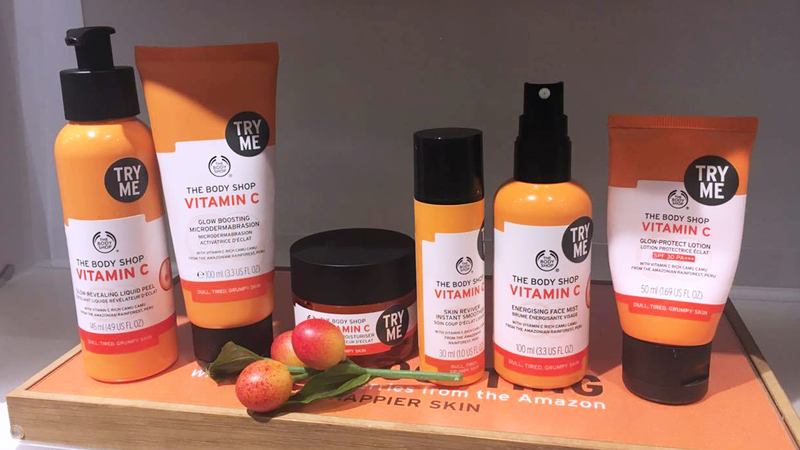 The Vitamin C range is amazing for uneven skin tones, which would work wonders for my dark circles, and dull looking skin. 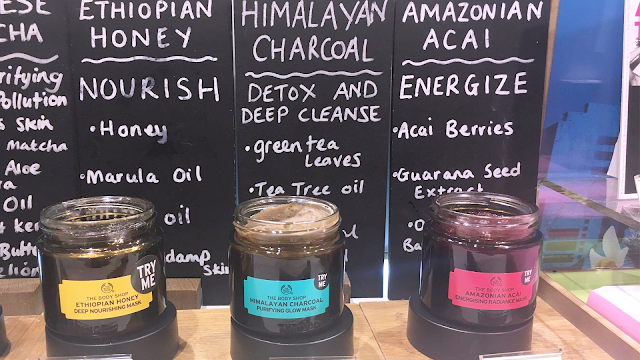 I'm quite interested in trying the Vitamin C Skin Reviver; I tried some of this on my hand, and it made a difference instantly with it's slightly pink tone to battle uneven tones. 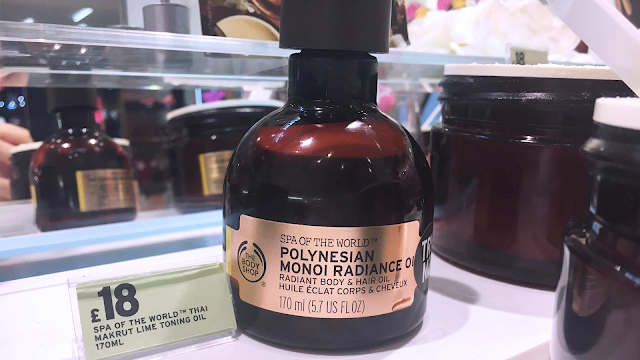 I've always been a fan of using Tea Tree Oil for my skin so I wasn't surprised when they recommended it - it's a holy grail ingredient! 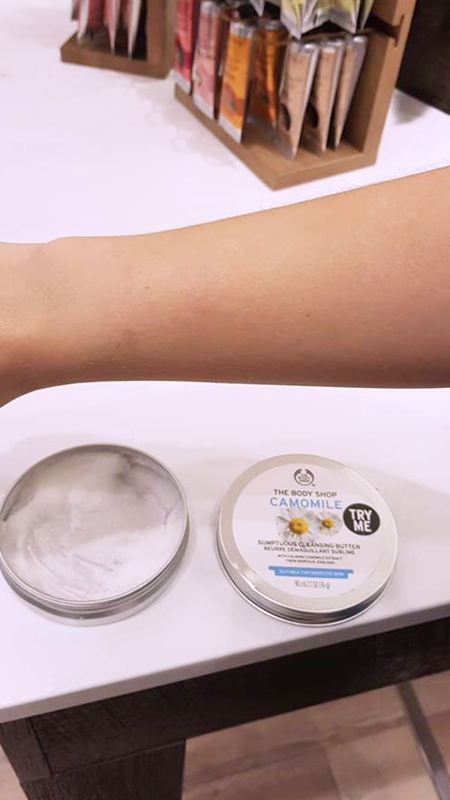 One thing I'm very excited about, which was demonstrated to me, was the Camomile Sumptuous Cleansing Butter. I will 100% be buying this product. I've never tried it before; I've used Micellar Water for so long I can't remember what other cleansers or makeup removers were like. 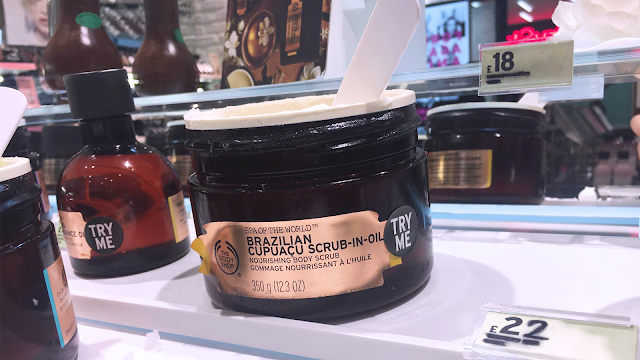 The makeup just glided off my skin in one fell swoop using this butter. 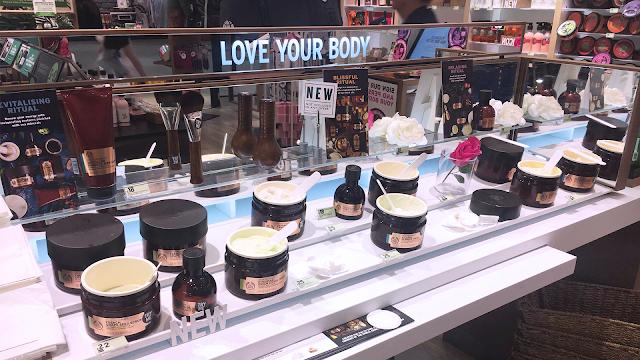 So that was my experience at The Body Shop Blogger event - it was informative, friendly and fun. I thoroughly enjoyed it, so thank you for the chance to come in. I was kindly given some products to try out which I'm going to review and give my first impressions on. I believe all of these, or at least some of these, are new. I have a list of the products and their information. 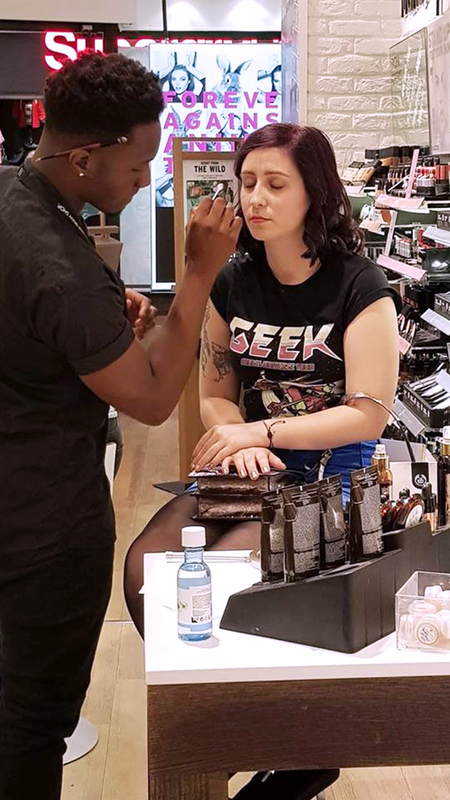 I didn't seem to get the Matte Clay Foundation that was on the list, which is a shame because I'm always on the look out for a great foundation for oily skin, like my own; So, hopefully I'll get to try that out in the future. I've already been trying the Chinese Ginseng & Rice Milky Toner since I got it so that's a 2 thumbs up from me. 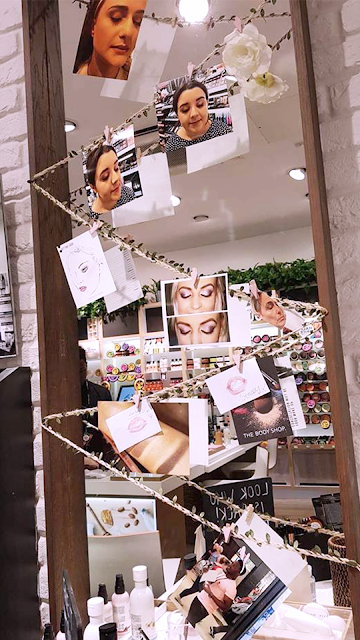 Keep your eyes peeled for the next post!